At Tusco, we proudly create displays for the uniforms that clothe police officers, emergency workers, firefighters, and military personnel. How does Tusco serve the makers of occupational uniforms and workwear? 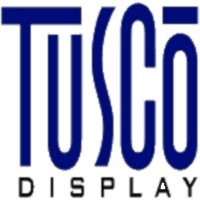 Tusco has the unique opportunity to design, engineer and deliver displays for tactical and occupational uniforms and workwear. This apparel is sold in specialty shops frequented almost exclusively by the very audiences our customers hope to reach. A customized, visually appealing display is critical to highlighting the benefits and features of your apparel. Your displays need to quickly pull in the consumer and swiftly communicate the value of your products. First impressions are everything, and an appealing display can bring browsers back to your products, even if they shop through the rest of the store's selection. Our displays can help you stand out among competitors. What makes Tusco's process the right choice for the makers of workwear? No matter how niche the industry, Tusco is prepared to offer guidance and strategic design. We partner with our customers throughout the entire design and manufacturing process, which creates seamless communication and quick-turn adjustments. Because we handle everything from start-to-finish in-house, we're uniquely positioned to act swiftly to accommodate any design changes. We'll start our partnership with you by working to establish your apparel's audience and their needs. Military and emergency workers need to be able to rely on your products to perform in the most difficult environments. How can we visually highlight your products' performance and key features? What will make these occupational teams choose your products over other competitor offerings? The answers to these questions will form the basis of our design and production approach. We will work closely with you to establish the most effective way to display your apparel in specialty locations. We need to make sure retailers are excited about your products, and that it's easy for them to both display and sell in their stores. We recognize each industry—and customer—is different. We'll work to address your specific needs and deliver a product that exceeds your expectations. Using our nimble and reliable approach to display design and manufacturing, we'll partner with you to best position your products in-store. To learn more about how we could serve your specialty apparel needs, contact us online or by phone.